August 1st is Switchblade Freedom Day in Louisiana when Knife Rights’ Switchblade Ban Repeal bill, HB 892, goes into effect. HB 892 repealed the total ban on switchblade knives in Louisiana and allows for the possession of a switchblade knife provided it is not “intentionally concealed on one’s person.” That provision was necessary to gain the neutrality of the Sheriffs and the State Police. Manufacture and sale of automatic knives are also now legal. WARNING: HB 892 did NOT include Knife Law Preemption which would have nullified all local bans. As such care must still be taken to check to see if a switchblade is legal where you reside or travel. For example, New Orleans still retains its ban on switchblades. Knife Rights’ record of 29 bills repealing knife bans at the state and local levels in 21 states in the past 8 years is unrivaled. With your support, Knife Rights is rewriting knife law in America™. Knife Rights’ Louisiana Switchblade Ban Repeal Bill Signed! 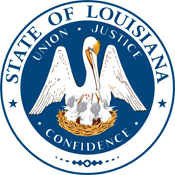 Knife Rights’ bill to repeal Louisiana’s antiquated ban on the possession of switchblade knives, HB 892, was signed today by Governor Edwards! 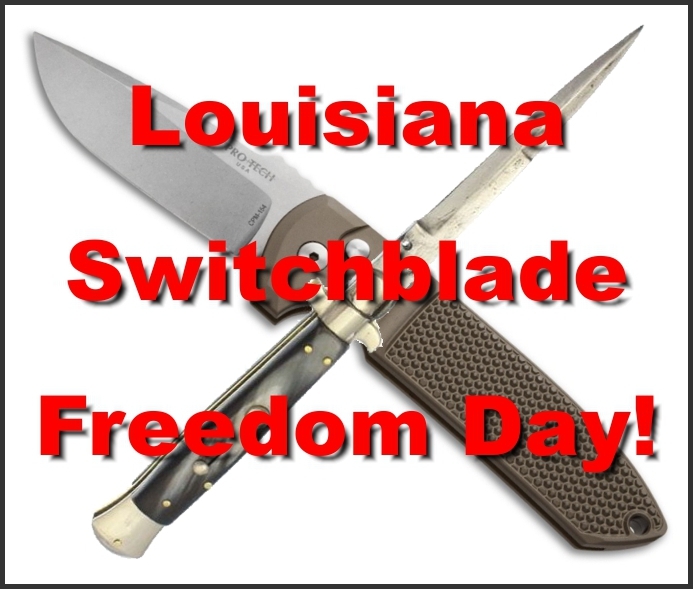 Switchblade Freedom Day in Louisiana will be August 1, 2018, when the new law goes into effect. We’d like to acknowledge Representative Mark Wright for his sponsorship and leadership and Senator Bodi White for shepherding the bill through the Senate. Thanks to all of you who called and emailed your legislators and Governor Edwards to ask them to support the bill. When you call and email, it is a huge help to Todd Rathner, our Director of Legislative Affairs, who worked tirelessly in Louisiana on this bill. Knife Rights would also like to express our appreciation to Dan Zelenka, President of the Louisiana Shooters Association, for his efforts in laying the groundwork for this bill. We are also grateful to Knife Rights board member and Louisiana resident Tom Gresham and Knife Rights member Clifford Grout for their roles in assisting us in this effort. PLEASE DONATE TODAY to Support Knife Rights and you could WIN!